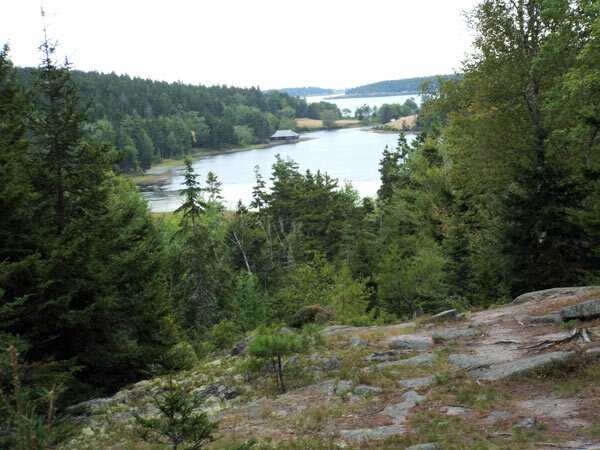 In 1919, the U.S. Congress designated Lafayette National Park (later renamed Acadia) as the first national park east of the Mississippi River. 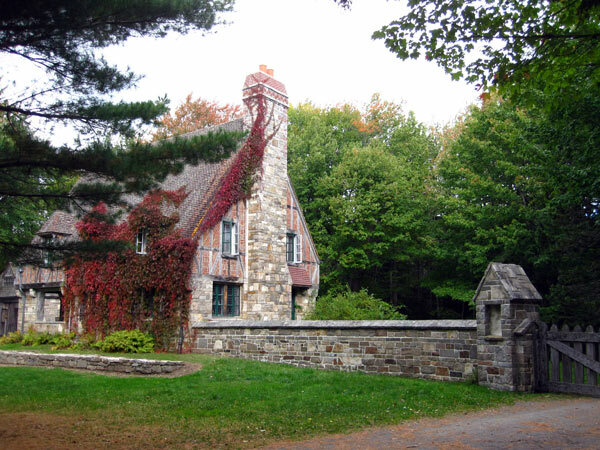 Between 1913 and 1940, John D. Rockefeller, Jr. financed and helped design 57 miles of carriage roads, two stone gatehouses, and sixteen stone bridges at the park. An avid horseman, Rockefeller wanted to provide access to the mountains, valleys, and scenic views by horseback, carriage, and on foot; automobiles were and are still banned from the carriage roads. 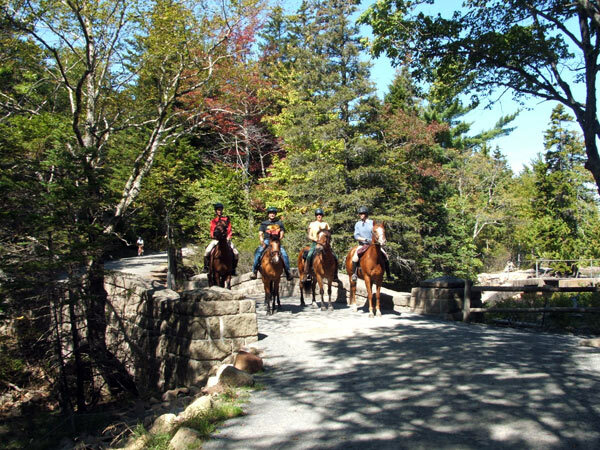 Acadia’s restored carriage roads are considered the best example of broken stone construction (using three layers of stone in progressively smaller layers) in the U.S. Two stone gate lodges, designed by Grosvenor Atterbury in Tudor Revival style, control access to the carriage roads. 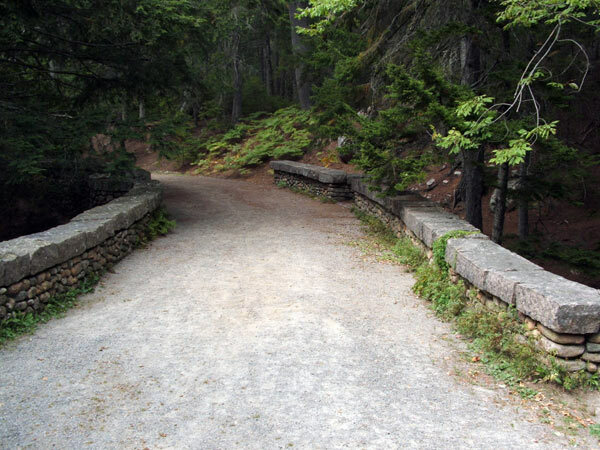 The roads are lined with irregularly spaced rustic granite blocks called coping stones, which serve as guardrails. Built across streams and ravines, each uniquely designed stone bridge harmonizes with its particular setting, thanks in part to Beatrix Farrand who worked with Rockefeller and his nurseryman to repair the disturbed landscape to as natural a condition as possible after construction. Farrand also designed landscapes for the gate lodges and planned numerous scenic vistas. 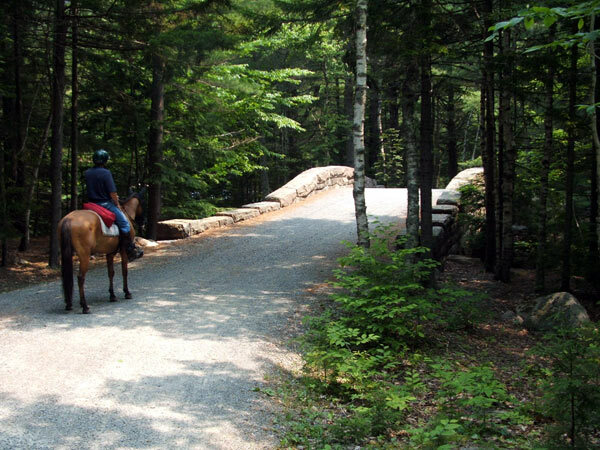 Today, 44 miles of carriage roads remain. 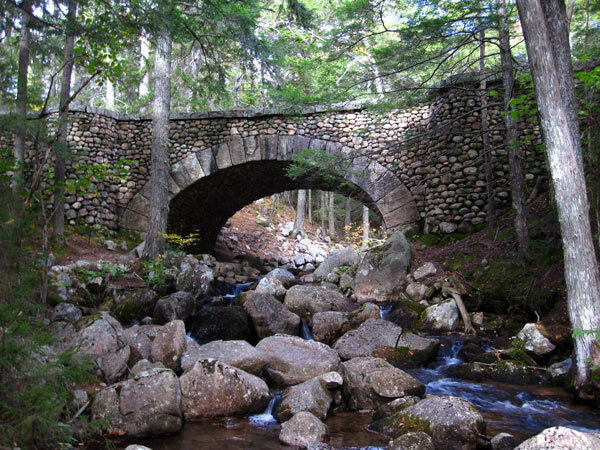 The carriage roads, bridges, and gatehouses were listed in the National Register of Historic Places in 1979 and as part of the Historic Resources of Acadia National Park Multiple Property Listing in 2005.